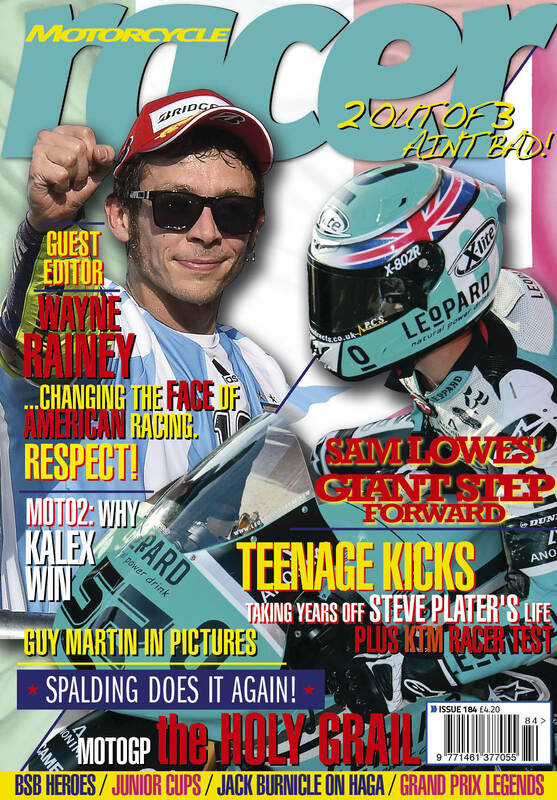 Racer goes all-American this month with Guest Editor Wayne Rainey. The truly inspirational three time World Champion is now breathing new life into American racing and in his editorial he explains how and why. And there's lots, lots more! Neil Spalding explains how Ducati's wings work in MotoGP and how Sam Lowes got so fast on his Speed Up Moto2 machine. There are some exclusive pics of Guy Martin past and present and Barry Nutley and Steve Plater explain the appeal of the KTM National Junior Cup. 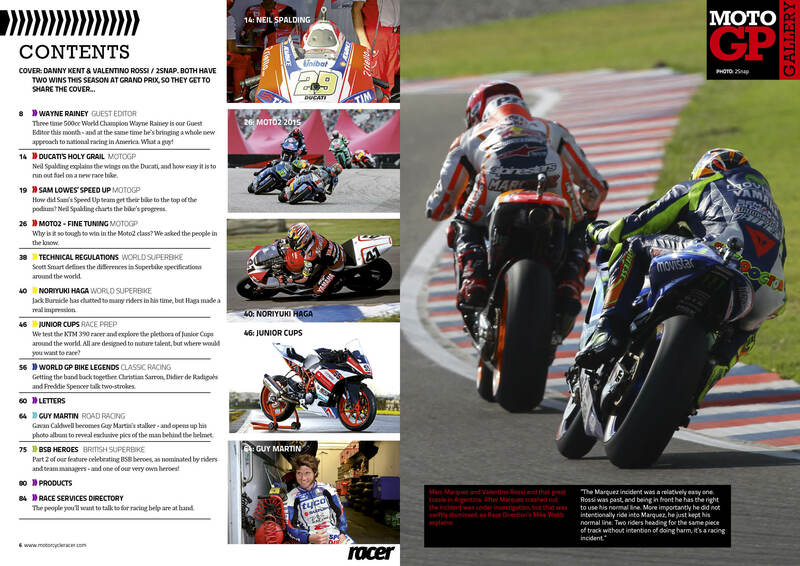 New this month Ben Rea tests the KTM390 race bike and Gino Rea tries out Moto2 machines while we talk to those who make the bikes in Moto2. Jack Burnicle pays homage to World SBK star Noriyuki Haga and explains his "lost" season and we meet up with the legendary Christian Sarron, Didier de Radigues and Freddie Spencer. 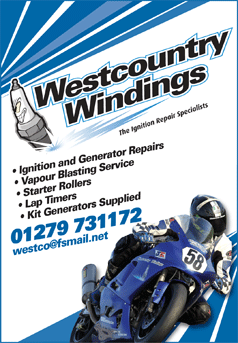 We also celebrate British Superbike Heroes - featuring privateer Rhalf lo Turco and his battle to get onto the BSB grid. 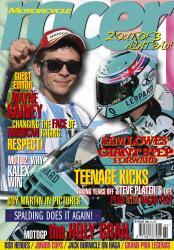 Plus - of course - great photos and insights into racing!